If you’ve been making a go of trade shows for any length of time, whether you’re a one-time trade show exhibitor or a seasoned pro, you know how hard it can be to stand out among all the competition. But, if you know how to distinguish yourself from the crowd, the investment in a trade show can really pay off. Be sure to select a quality promo item. Choose a product that uniquely targets the consumer or market that you want to attract to your business. The product’s message should be clean, align with your branding, and include a call-to-action. Personalized flash drives are the go-to choice for many. Flash memory is more affordable than ever. You will save time, money, and resources by uploading your presentation or product catalog onto a custom printed flash drive. Your prospects will continue to utilize their free USB long after the show is over, advertising your brand with every use. 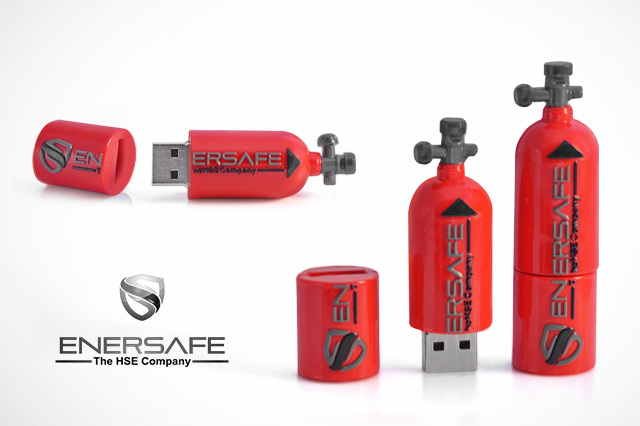 Take your branding even further by investing in a 100% custom shaped flash drive, and really stand out from the pack. Be shameless about offering perks. Free food? Who doesn’t need a little pick-me-up snack before lunch or by mid-afternoon? Wi-fi hotspot? Who doesn’t want free internet? It can be hard to get a signal in a crowded room. Become the solution! Offer proof of your product or service benefits. Once you’ve lured attendees to your booth, keep them there with a compelling presentation of what your company has to offer. Bring equipment or samples of your products. Engage visitors by demonstrating your services right then and there. Utilize social media, get the word out in an email blast, post updates on your website, or send out memorable direct mail to alert your clients before the show. If you sell pet supplies, for example, send a marketing touch point in the shape of a water bowl or dog bone. Consider putting QR Codes on the mailer, and on all trade show materials, which lead attendees to a special landing page for the event. For an even more unique approach, go with a direct mail solution. Give away flyers with a built in USB and embedded NFC (Near Field Communication) technology, then track the success of your campaign with built-in analytics software. Trade show attendees may only scan your booth’s signage for a split second. If your signs aren’t clear, and it’s not easy to tell what it is that you do, people will simply pass by your booth. Use bold, catchy signs that are descriptive, yet simple. Use compelling imagery. Remember, words tell, but graphics sell. While the majority of booths are now going for a high-tech, contemporary look, your booth can offer a contrasting experience to really stand out from the crowd. Here’s where you can get creative with a natural or relaxing theme, somewhere attendees can go to get some respite from the hubbub and chaos of the crowd. Give away one of your products for free. Ask attendees to sign up in exchange for a raffle ticket. This kind of promotion can really draw a crowd, especially if it’s a high-dollar item like an iPad. Don’t be afraid to give away your own products either. Get the word out about the promotion and include the offer in any advertisements leading up to the event. With the right combination of tactics your booth can stand out among the sea of other vendors, and put your business on the map.